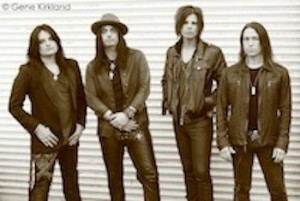 An exclusive teaser clip of Hotel Diablo’s new video Psycho, California, which can be found at GuitarWorld.com as part of a brand new interview with guitarist Alex Grossi, can be viewed below. The video was recently shot in Los Angeles with nine-time Emmy Award-winning and MTV Video Music Award-nominated director Fabio Jafet (Pitbull, Enriquw Iglesia, Children Of Bodom). Hotel Diablo’s The Return To Psycho, California was released in September through Scarlet Records and is currently available digitally via iTunes, Amazon and other online music retailers. For more information about Hotel Diablo, please visit thehoteldiablo.com.